With Love From Rachel: who doesn't love love & toast? who doesn't love love & toast? As I have mentioned I am a total sucker for cute packaging, so when I first came across Love & Toast I new that we would get along. Not only does the brand have ridiculously cute designs on all of their products, they also refrain from using: parabens, phthalates, petrolatum, mineral oil, propylene glycol, retinol, sulfates, and synthetic color﻿. I would never claim to only use "natural" products, but I do attempt to when they are available and amazing. Love & Toast also does not use ingredients derived from animals, nor do they test on animals. Did I mention the über-cute packaging? 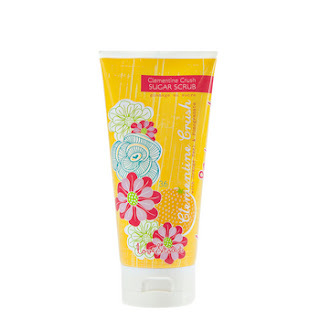 This is the Clementine Crush Sugar Scrub, a body scrub that smells amaze and is only $10.99. I picked this up at Whole Foods and suggest that you should as well. 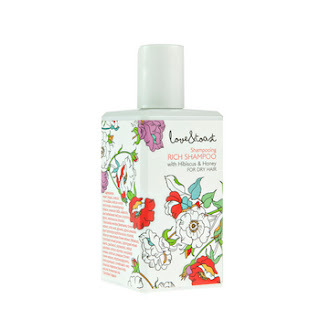 I have not tried Love & Toast's shampoo or conditioner, but the bottle is so pretty that I may have to at least have a few on display in my shower. This is the Rich Shampoo with honey and hibiscus. Yum. A great way to try Love & Toast products is to purchase their Happiness Kit. For $16.99 you can try 10 of their vitamin and mineral rich products. It makes me happy just thinking about it.